When NASA revealed the names of nine companies eligible for contracts to deliver payloads to the moon on robotic landers, it set off a flurry of activity among firms with related technology. 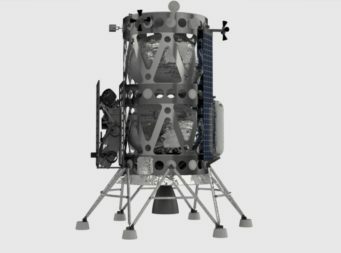 “Going back to the moon with commercial technology opens the floodgates,” said Grant Anderson, president, chief executive and co-founder of Paragon Space Development Corp., a thermal control technology specialist and Moon Express teammate for NASA’s Commercial Lunar Payload Services (CLPS) program. NASA’s recent moon missions have been few and far between, Anderson said. Companies competed for roles in a multibillion-dollar lunar exploration campaigns and if not chosen waited many years for another opportunity. Instead, CLPS offers firms a chance to bid for firm fixed-price task orders worth as much as $2.6 billion over a decade. Tasks include integration of NASA payloads onto commercial vehicles, transportation of payloads to the moon, delivery of scientific data obtained by commercial instruments and return of lunar samples to Earth. In late November, NASA selected nine companies to participate in CLPS: Astrobotic Technology, Deep Space Systems, Draper, Firefly Aerospace, Intuitive Machines, Lockheed Martin, Masten Space Systems, Moon Express and Orbit Beyond. Each of those firms is forming partnerships with additional companies, including many pairings not yet announced. “All of the sudden there are opportunities for anyone,” said Kris Zacny, vice president and director for Honeybee Robotics Exploration Technology Group, which develops scientific instruments and in-situ resource utilization technology. Firms like Apple and Microsoft helped foster the information technology ecosystem and these nine companies could seed the lunar exploration ecosystem, Sims said. Ceres, for instance, does not intend to build landers but affordable robots for planetary surface operations. “We’d like to sell to all nine of those companies,” Sims said. 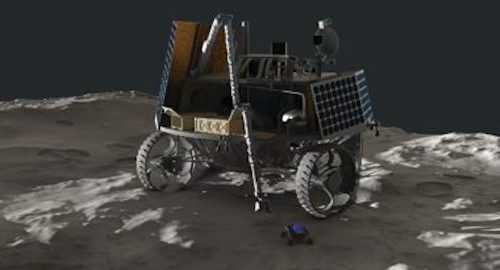 Likewise, Honeybee wants to work with CLPS teams in addition to OrbitBeyond, the Edison, New Jersey, company acquiring lunar lander technology from Team Indus, India’s finalist for the Google Lunar X Prize. Honeybee will integrate OrbitBeyond payloads. Advanced Space of Boulder, Colorado, will manage OrbitBeyond missions. Ceres of Montara, California, will direct surface operations and Apollo Fusion will focus on future programs, according to an OrbitBeyond press release. Every CLPS team will need partners, said Alan Campbell, Draper space systems program manager. “We don’t think any of the teams can do the work on their own,” he said. General Atomics will oversee lunar lander manufacturing, assembly, integration and testing for Draper. “We manufacture complex, first-of-a-kind systems to meet national priorities,” Bucci said, pointing to the company’s Electromagnetic Aircraft Launch System to catapult aircraft from ships, and Advanced Arresting Gear, for carrier landings. General Atomics also designs and builds small satellites and sees CLPS as an opportunity to expand its space portfolio, Bucci said. 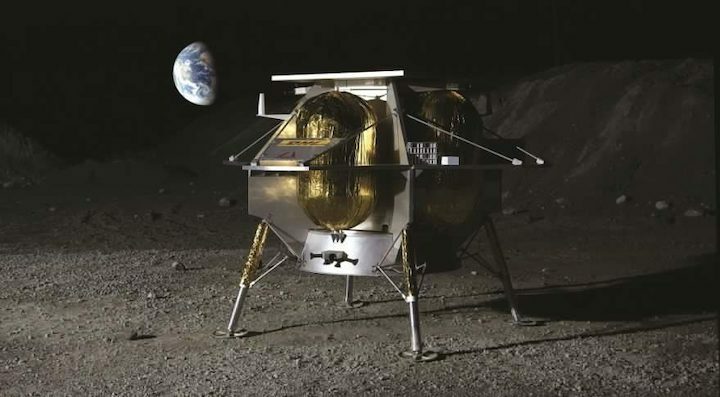 Draper’s team includes ispace, a Japanese startup that raised more than $90 million in 2017 to launch two commercial lunar missions: an orbiter in 2020 and a lander with a rover in 2021. Spaceflight Industries will provide launch services including mission integration, management, launch and range documentation for Draper. Astrobotic will rely on United Launch Alliance to send missions to the moon and Airbus Defence and Space for landing systems and systems engineering, Carolyn Pace, Astrobotic business development coordinator, said by email. Lockheed Martin, the industry giant selected for CLPS, “has the capacity to design, build, test and operate planetary spacecraft in-house,” spokeswoman Danielle Hauf said by email. 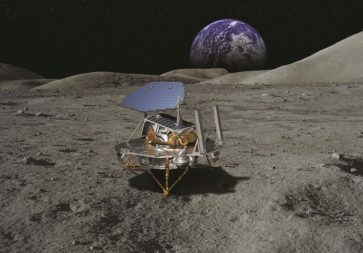 When the firm needs external help, it will turn to the same suppliers for its McCandless Lunar Lander that supported previous planetary missions. Those suppliers include large companies like Aerojet Rocketdyne, which built thrusters for the Phoenix and InSight landers, and small businesses that provide engineering expertise or specialty hardware, Hauf said. Moon Express will draw on Odyssey’s software and simulation expertise while Sierra Nevada “is ready to help with everything from spacecraft structures to mission operations,” Richards said. NanoRacks, Moon Express’ exclusive external marketing partner, is asking its current customers “if they would like to take advantage of opportunities in lunar orbit and on the lunar surface,” said Adrian Mangiuca, NanoRacks commerce director. NanoRacks sees its work with Moon Express as a natural extension of its current business lines. “We are not doing something completely different that requires a huge amount of investment,” Manguica said. For a company like Deep Space Systems, though, CLPS will require investment and additional staff. Since it was founded in 2001, Deep Space Systems has worked primarily as an engineering services company, building flight hardware for NASA and aerospace prime contractors. The Littleton, Colorado, company has not raised external capital but will, if necessary, to compete for CLPS task orders, said Steve Bailey, Deep Space Systems president. For CLPS, Deep Space Systems is working with Deep Space Communication Systems of Morrison, Colorado, a firm with expertise in integration, testing and mission operations for interplanetary missions, and Advanced Solutions Inc., a Littleton aerospace engineering firm focused on software, simulation and testing.